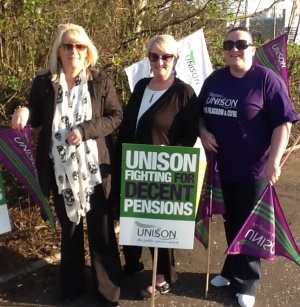 UNISON Scotland today kicked off a new round of industrial action on NHS pensions. 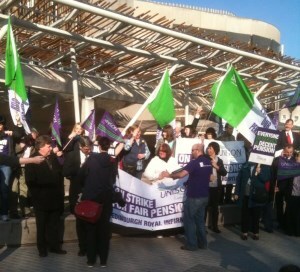 A number of selective strikes are planned to increase pressure on the government for a Scottish solution to all aspects of pensions changes. 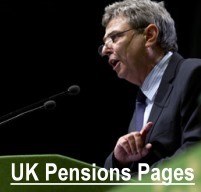 This includes the year 1 increases to employee contributions of up to 2.4% - which are effectively a pensions tax on health workers. 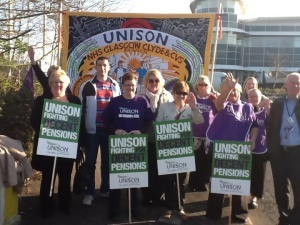 UNISON health members in the Central De-Contamination Unit at Ayrshire Central Hospital Irvine are taking industrial action on the issue of pensions on Tuesday 13 and Wednesday 14 March 2012. 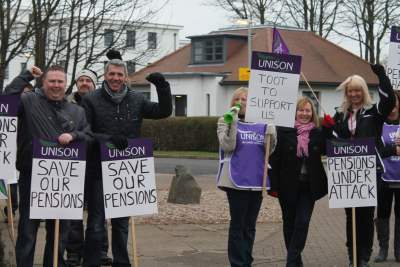 A picket line will be in force each day from 9am until 12 noon. 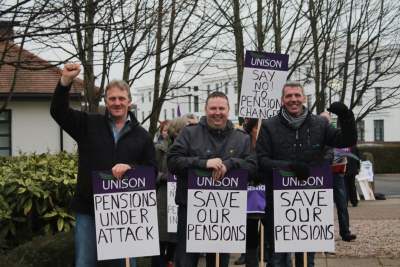 The staff within the CDU were superb in their support to take action in defending the Pensions of all our members in the NHS and are grateful for the support shown by other UNISON branches. 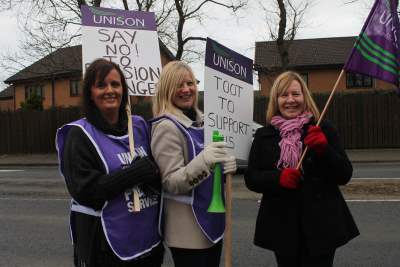 The support of the Regional Secretary, Scottish Head of Health, Chair of the Scottish Health Committee and colleagues from Renfrewshire LA Branch, NHS Glasgow and Clyde Branch was greatly appreciated .